When you learn that a person doesn’t have children, you may want to consider asking about that person’s family and friends. After all, good aunts have people in our lives we love (and love telling you about), but our family may not look like a conventional one. While these stickers may depict a conventional family (though I’m starting to see more and more sticker groupings that are decidedly unconventional), a family can go far beyond the connections we have with immediate family members. If you ask a good aunt about her family, she may talk with you about her nieces and nephews, her parents and siblings, her friends and their children, and even her pets. If she’s married, she’ll tell you about her husband and in-laws, too. For the women I interviewed, I loved hearing about the many different ways they described family. Most of them have children in their lives to tell you about if you’ll let them, and several proudly showed me pictures of nieces, nephews, grand-nieces and grand-nephews. If you ask about my family, I’ll tell you not only about ones on my “official” family tree, but I’ll also tell you about my closest friends and their children, who truly are like extended family to me. One of the interviewees, 90 years old and widowed, lives a busy and full life and has created family around her. She’s getting ready to travel to Italy with some of those family members – alumnae from the women’s college she attended. To hear her describe some of the women at the alumnae office, you’d think she was talking about daughters and granddaughters. They take care of her and do things for her the way you would with any close family member. They are an integral part of her life and an integral part of the family she has created for herself. We all know grandparents who love to brag about their grandchildren and who are perfectly happy to talk of little else. Ask a good aunt about her nieces/ nephews/ godchildren/ friends’ children, and you will likely hear something akin to the proud grandparents. If I find myself sitting with a group of women who are talking about children, I’ll add stories of my nephews or friends’ children that are apropos to the topic. This lets me participate in a meaningful way with the others and, even though I’m not a parent, helps them connect with me because I do have some small understanding of what they’re sharing. Just as with conventional families, a good aunt’s family is an integral part of her community, whether those are family members who live with her or friends who live far away. It is a family tree she creates, not by giving birth but by reaching out and connecting emotionally with others, by caring for them and allowing them to care for her. The good aunt’s family tree is like a patchwork quilt – vibrant and warm and beautiful because of the variety of its pieces. 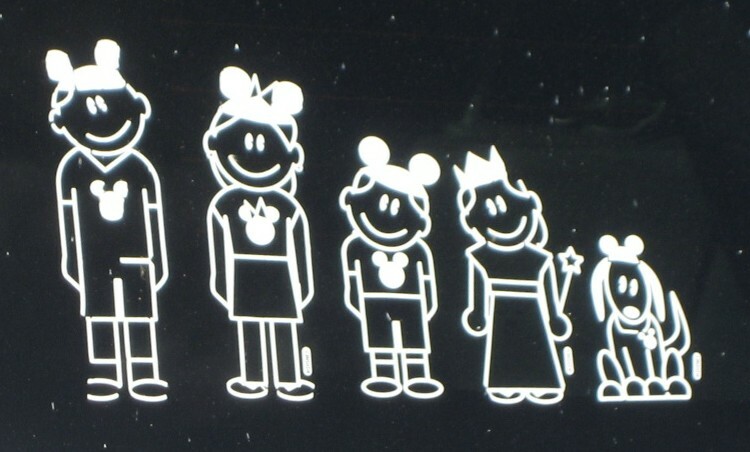 You probably won’t ever see a good aunt’s back windshield decorated with those little family stickers. After all, it would simply be too hard to see out of the back with all of the people she considers family. Is this idea of a patchwork family tree a concept that resonates with you? When asked about your family, who else beyond the conventional responses would you include? And what is it about them that makes them feel like family to you? This entry was posted in good aunt and tagged aunt, community, family tree, good aunt by hopesquires. Bookmark the permalink. I’d love to see you with goats walking through downtown Blowing Rock! I can picture it now.